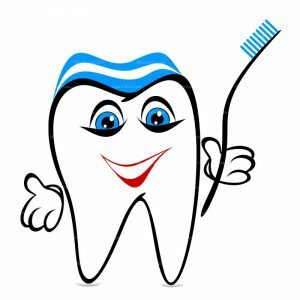 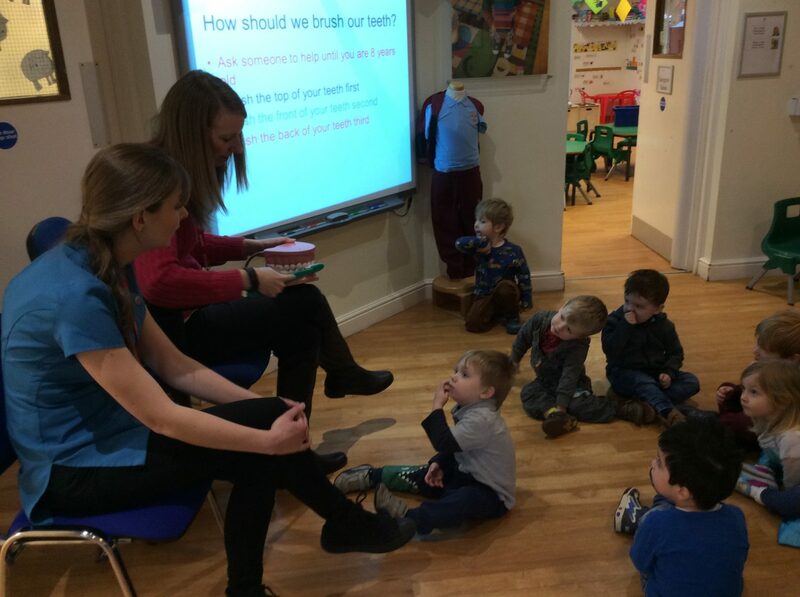 This week Kindergarten’s topic has been on the dentist. 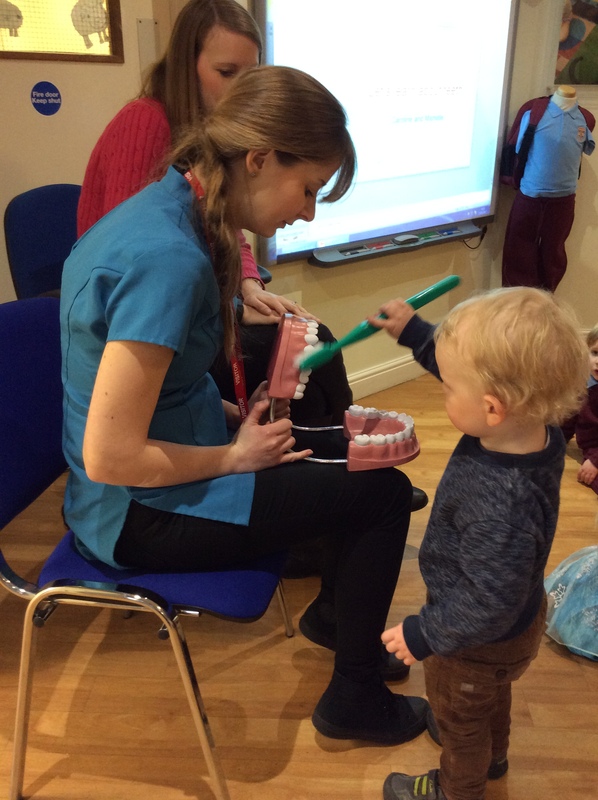 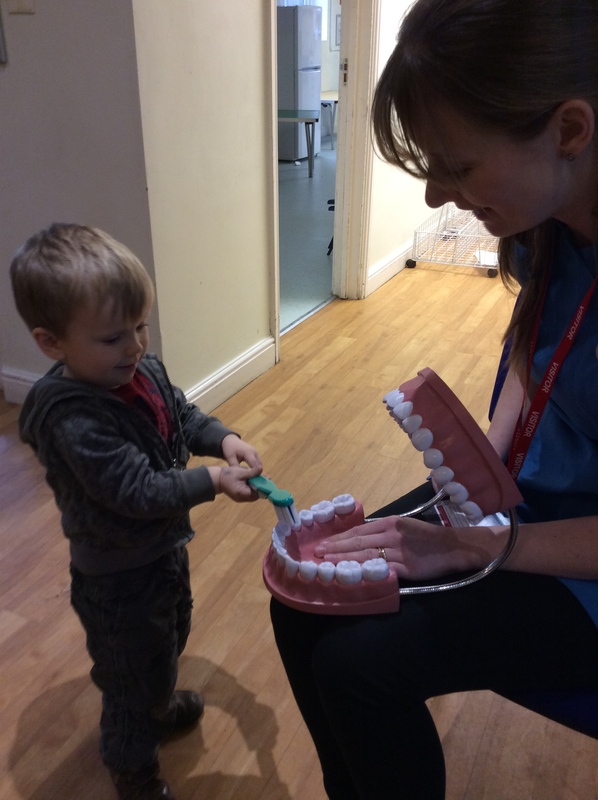 We have explored tooth brushing in the messy play, sequenced tooth brushing routine, made smiley mouths, talked about healthy eating and how to look after our teeth. 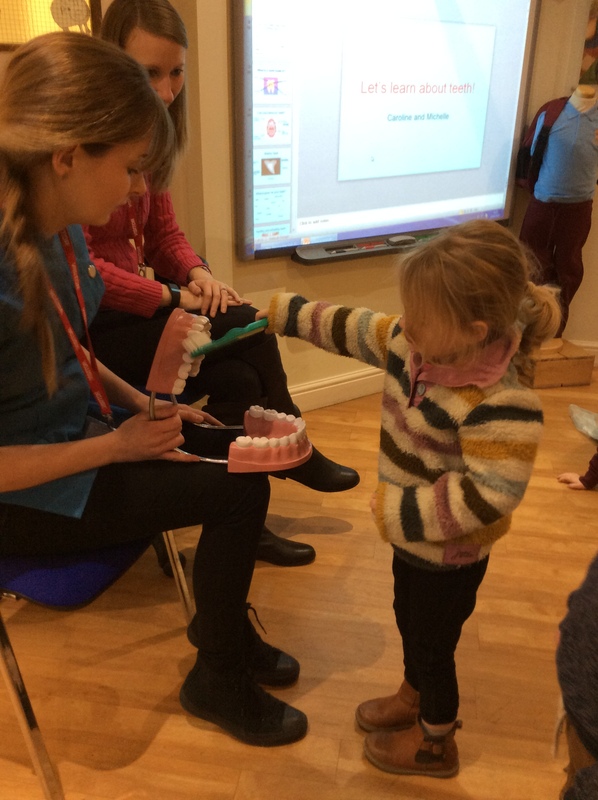 We also had a visit from the dentist who shared tips on looking after our teeth and the role of the dentist.